Starting from Monday 13th February, 32 Red Poker are increasing their guaranteed prize pools to the tune of $30,000. There's a whole lot more going on besides at the Prima Poker network giant. If you're an online poker tournament player, looking for great value guaranteed events, then look no further than 32 Red Poker this February. A new guaranteed schedule has been announced with $30,000 more on offer than previously. Now tournament players can redeem their 32 Red Poker "Red backs". Five of the most popular guaranteed events can now be entered via Red back tokens. Included in these events is the $20,000 guaranteed tournament. Normally a $100+$9 buy-in, this can now be entered with 10,900 Red backs. Great value. 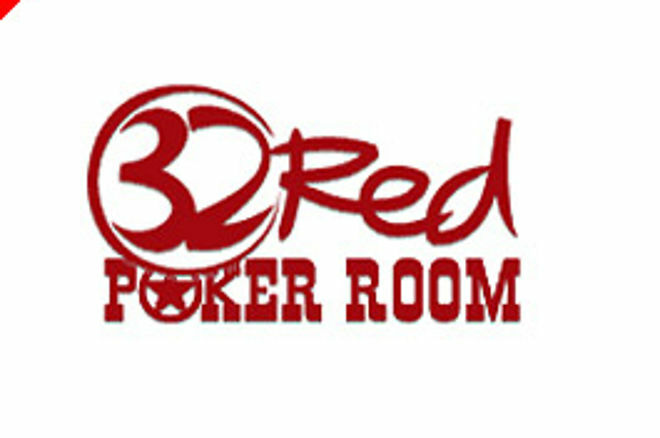 Cash game players are rewarded at 32 Red Poker too. Each week the top ten ring game players are given cash rewards from the 32 Red Wise Guys leaderboard. With $500 awarded to the ten and 1st place scooping $150, this is a great way to boost your bankroll. Ed note: Look no further than 32 Red Poker this February for the best in poker tournament value.